The war between the houses of Lancaster and York was characterised by treachery, deceit and bloody battles. Alison Weir's lucid and gripping account focuses on the human side of history. At the centre of the book stands Henry VI, the pious king whose mental instability led to political chaos, and his wife Margaret of Anjou, who took up her arms in her husband's cause and battled in a violent man's world. 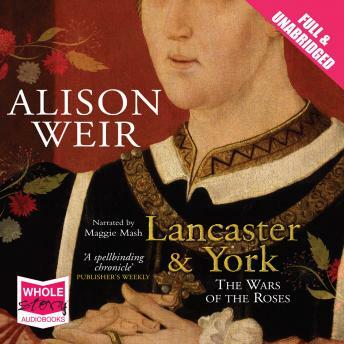 Enjoyed learning more about medieval England, Alison Weir a great author.